Left hand color White"A" Dimension 7/16" to 33/64" Reverse Retrofit Dual Action Packed with Screws. Made of Stamped Steel with Stainless Steel Pin and Spring The Dual Action Reverse Retrofit Angel Ventlock is another ideal limit control device for use in aftermarket applications. 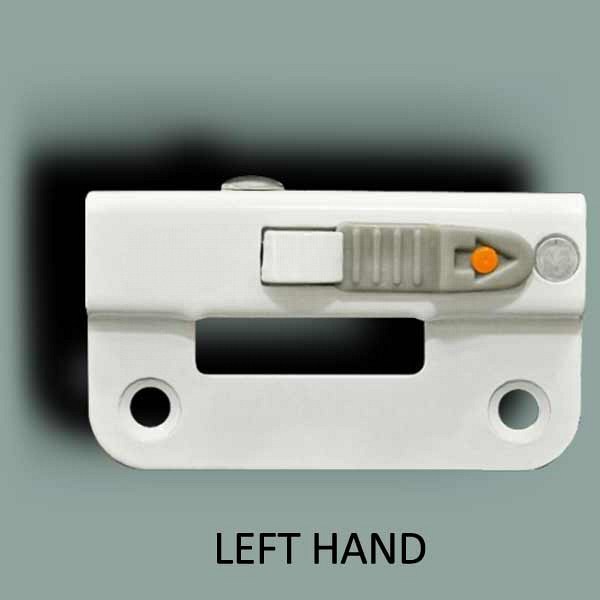 This Window Opening Control Device (WOCD) is primarily used on sliding windows. The Dual Action Reverse Retrofit Angel Ventlock version attaches to the window frame and must be mounted to restrict the sash opening to less than four inches. Dual action means that two separate actions are required to operate the unit. Only one dual action unit is required to ensure compliance with the code ASTM F2090-2008 and 2010. Various sizes and finishes of the Dual Action Reverse Retrofit version are shown below. 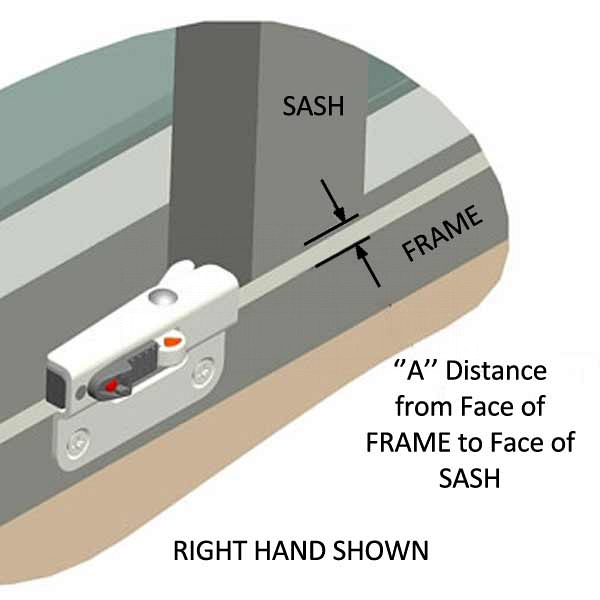 Selection is dependent upon the distance from the face of the frame to the face of the sash. Simply measure the distance between the two and choose the part number from the chart below.